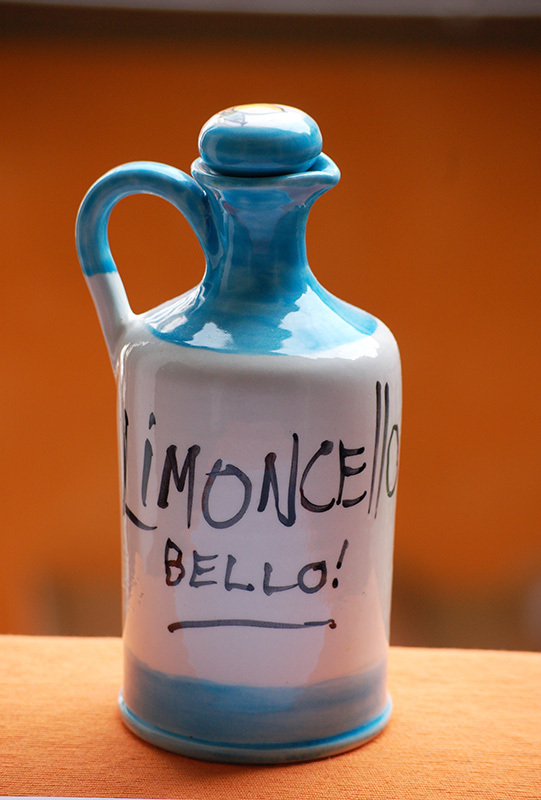 This original limoncello serving bottle has a capacaty of 0,5 liter, is hand-decorated and one of a kind! 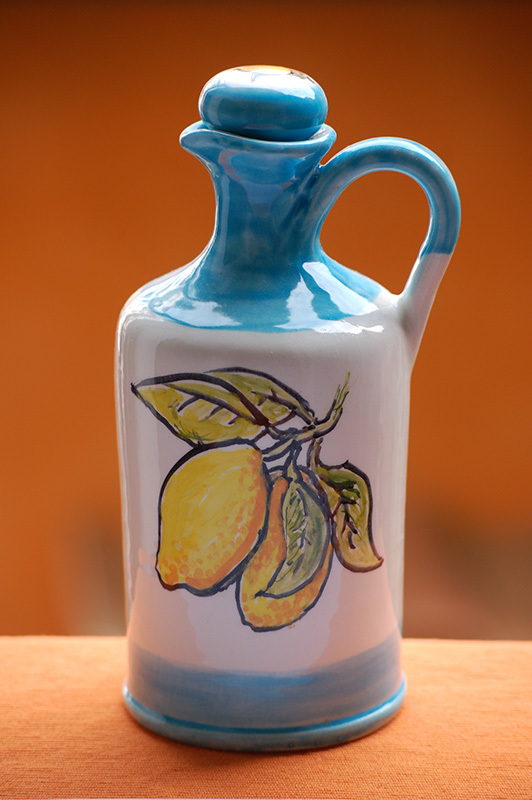 Exclusive hand-painted ceramic bottle fired in a kiln at nearly 1000° celsius. 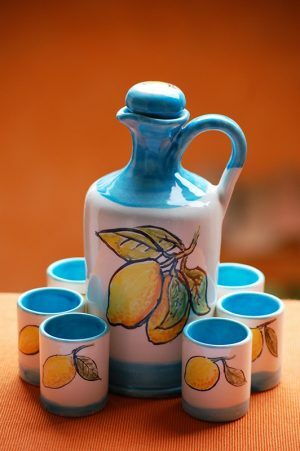 All the ceramic creations are one of a kind original and signed by Artist Claudio Assandri. 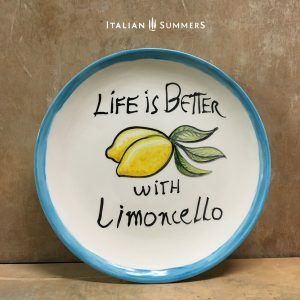 Designed in Italy with love. 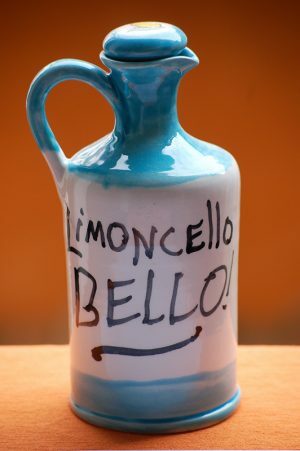 Note: Every item is an original unique hand-decorated article. 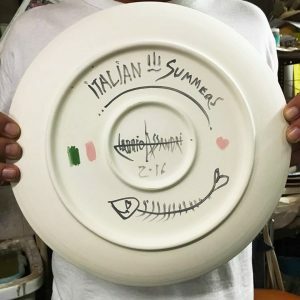 The Artist creates new pieces as stock sells out. In some cases a few extra days might be required to fulfill some orders. Slight differences in design are natural as articles are not printed.